VICTORIA, British Columbia, Feb. 14, 2018 (GLOBE NEWSWIRE) -- Emerald Health Therapeutics, Inc. (TSXV:EMH) (OTCQX:EMHTF) ("Emerald" or the “Company”) has closed its prospectus sale (the “Offering”) to a single Canadian institutional accredited investor (the “Investor”) announced on February 8, 2018. Pursuant to the Offering, the Company has issued 3,000,000 units (the “Units”) at a price per Unit of $6.00 for gross proceeds of $18,000,000. Each Unit consists of one common share of the Company and one common share purchase warrant (a “Warrant”). Each Warrant will entitle the Investor to acquire one common share of the Company (a “Warrant Share”) at a price of $7.00 per Warrant Share for a period of six months following the closing of the Offering. In the event that the closing sale price of the Company’s common shares (the “Common Shares”) on the TSX Venture Exchange or other recognized exchange is greater than $8.50 per Common Share for a period of five consecutive trading days at any time after the closing of the Offering, the Company may accelerate the expiry date of the Warrants by giving notice to the Investor and in such case the Warrants will expire on the 15th day after the date on which such notice is given by the Company. The Units were offered by way of a shelf prospectus supplement filed in all of the provinces of Canada, except Quebec, pursuant to National Instrument 44-101 - Short Form Prospectus Distributions. The Company intends to use the net proceeds of the Offering for its production and R&D-related growth plans, working capital and general corporate purposes. The Investor has also agreed to exercise 3,000,000 warrants of the Company within three days of closing of the Offering. These warrants, issued by the Company to the Investor on January 9, 2018, are exercisable at a price of $6.00 per Common Share at any time prior to January 9, 2021. The previously announced purchase by the Investor of 2,000,000 Common Shares from Emerald Health Sciences Inc. (“Sciences”), a control person of the Company, at a price of $6.00 per share, has also closed. Emerald Health Therapeutics, Inc. (TSXV:EMH) (OTCQX:EMHTF) operates through Emerald Health Botanicals Inc. ("Botanicals"), a wholly owned subsidiary and Licensed Producer under Canada’s Access to Cannabis for Medical Purposes Regulations. Through Botanicals, Emerald is authorized to produce and sell dried medical cannabis flower and medical cannabis oil. It currently operates an indoor facility in Victoria, BC, and is building a 500,000 s.f. greenhouse on 32 acres in Metro Vancouver, with expansion potential to 1 million s.f. to serve the anticipated legal Canadian adult-use cannabis market starting in 2018. Emerald also owns 50% of Pure Sunfarms Inc., a partnership with Village Farms International Inc. that is converting an existing 1.1 million s.f. greenhouse in Delta, BC from growing tomatoes to growing cannabis. Emerald’s team is highly experienced in life sciences, product development and large-scale agribusiness. 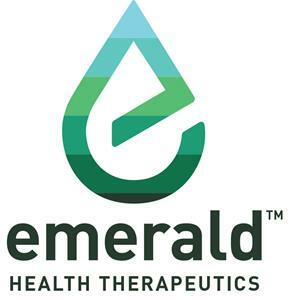 Emerald is part of the Emerald Health group, which is broadly focused on developing pharmaceutical, botanical and nutraceutical products that may provide wellness and medical benefits by interacting with the human body’s endocannabinoid system. We caution you that such "forward-looking statements" involve known and unknown risks and uncertainties that could cause actual and future events to differ materially from those anticipated in such statements. Forward-looking statements include, but are not limited to exercise of the Investor’s existing warrants; the development, expansion and conversion of greenhouse facilities; and the starting of adult-use cannabis market in 2018. Emerald Health Therapeutics Inc. does not intend, and does not assume any obligation, to update these forward-looking statements except as required by law. These forward-looking statements involve risks and uncertainties relating to, among other things, the ability of the Company to negotiate and complete future funding transactions; variations in market conditions; and other risk factors described in the Prospectus and the Company's other filings with the applicable Canadian securities regulators, which may be viewed at www.sedar.com. Actual results may differ materially from those expressed or implied by such forward-looking statements.